This free training will give you the basic knowledge you need to learn for the Oracle® Java SE 8 Programmer I exam (exam number 1Z0-808), in order to earn the Oracle Certified Associate Java SE 8 Programmer certification. The training content is not meant for beginners but for programmers with some Java experience who want to improve and update their knowledge of the Java language while at the same time getting it validated by obtaining the valuable and recognized Oracle Java Certification. For example, it won’t teach you what a Java class or interface is, but it will teach the little details that you must know about classes and interfaces for passing the exam. If you are a beginner then you’ll probably want to improve your basic Java knowledge first. In that case, you can take a look at my Resources section where I keep an updated collection of recommended Java books. I also recommend that you use a simulator to complete your preparation by practicing exam questions. This is a fundamental part of your preparation and serves also as a validation of the learned content. 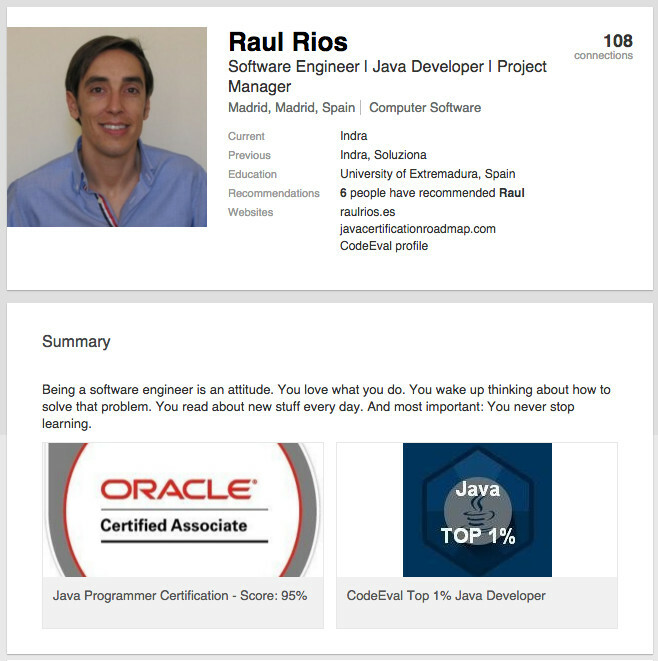 Finally, if you found this free training useful and know more programmers, colleagues or friends that may be interested in getting the Java Certification, click one of the buttons belowclick the button on the bottom left corner of your screen to let them know about the Java Certification Roadmap. 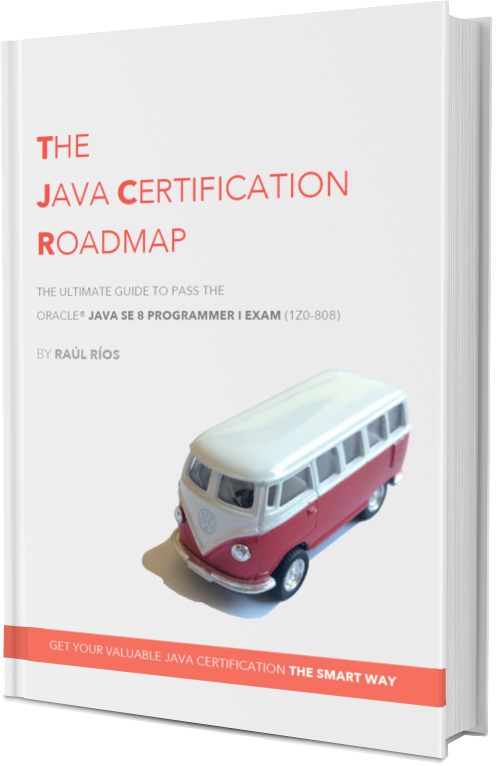 Getting a Java certification doesn’t happen overnight. You need motivation and you have to study and practice with an exam simulator. Read each section below carefully and try to understand the concepts. After finishing each section don't forget to open your favorite Java IDE (e.g. Eclipse) and practice what you've just learned. The Oracle Java certification has been traditionally considered over the years as one of the most recognized certifications in the IT world, so it feels good to earn a credential like this. It’s not only about having a new highly valuable badge to add to your resume and your LinkedIn profile, but also about getting your knowledge validated, and that’s always very fulfilling. That being said, you should have clear expectations about the potential benefits that are reasonable to expect from achieving this certification and also (and perhaps even more important) what you shouldn’t be expecting from it. Thank you for reading me. If you still have some questions, drop me a line and I will be pleased to help you.